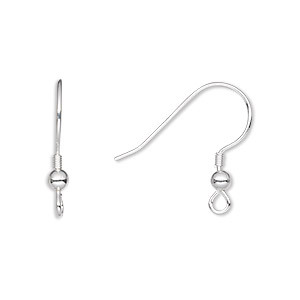 Ear wire, sterling silver, 18mm fishhook with 3mm ball and 2mm coil with open loop, 21 gauge. Sold per pkg of 500 pairs. 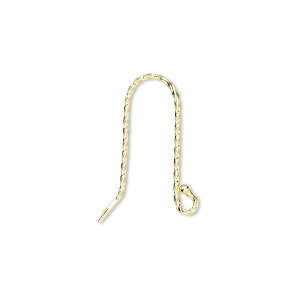 Item Number: H20-8425FN Have a question about this item? 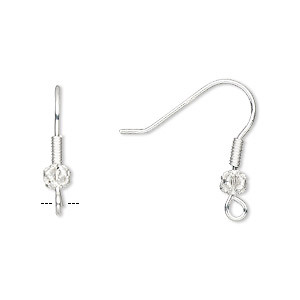 These are light to medium weight ear wires in sterling silver. 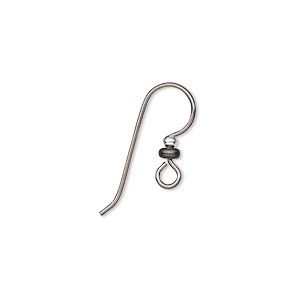 Ear wire, sterling silver, 18mm fishhook with 2mm coil and 3mm ball with open loop, 21 gauge. Sold per pkg of 25 pairs. Ear wire, sterling silver, 21mm fishhook with 4mm filigree ball and 4mm coil with open loop, 20 gauge. Sold per pair. 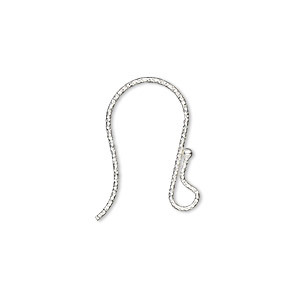 Ear wire, sterling silver, 20mm diamond-cut fishhook with 1.5mm ball and open loop, 21 gauge. Sold per pair. 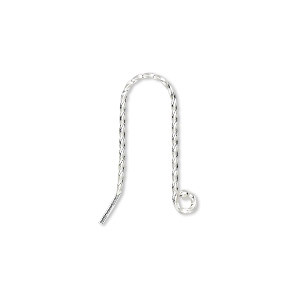 Ear wire, sterling silver, 20.5mm twisted square wire fishhook with 1.5mm ball and open loop, 19 gauge. Sold per pair. 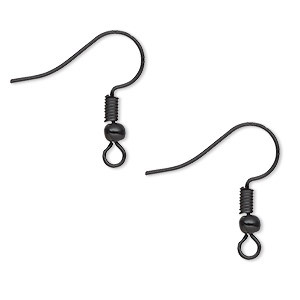 Ear wire, black-finished brass, 20mm fishhook with 3mm ball and 4mm coil with open loop, 21 gauge. Sold per pkg of 20 pairs. 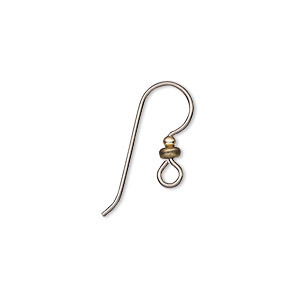 Ear wire, gold-finished sterling silver, 20.5mm twisted square wire fishhook with open loop, 19 gauge. Sold per pair. 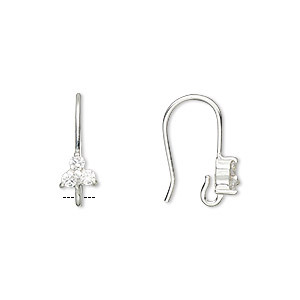 Ear wire, cubic zirconia and sterling silver, clear, 16mm fishhook with 5.5x5mm faceted triangle and open loop, 21 gauge. Sold per pair. 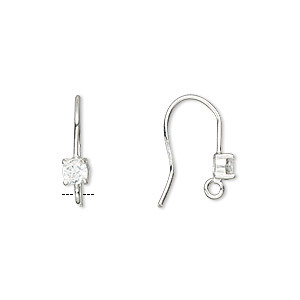 Ear wire, sterling silver and cubic zirconia, clear, 16.5mm fishhook with 3.5mm faceted round and open loop, 21 gauge. Sold per pair.